A competitive factor in business today is the quality of talent. 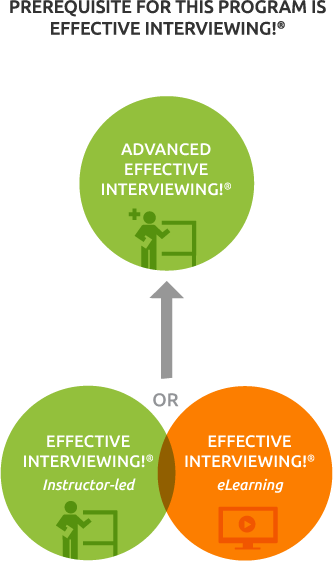 Advanced Effective Interviewing!® is customized for your organization to enhance and reinforce the skills learned in instructor-led Effective Interviewing!® or Effective Interviewing!® online training. This seminar delivers a practical way to embed the process with key interviewers within your organization. It also provides an effective follow-up to online training with an opportunity for additional discussion and practice. Review key concepts and techniques, and reinforce skills with more hands-on practice. Focus on specific situations, such as enhancing technical with behavioral interviews, phone and digital interviews, or selling the job opportunity. Handle challenging interview situations, such as the overly prepared or inauthentic candidate. Apply advanced interview techniques to improve your phone screens and reference checks. Sell your company and job opportunity to the desired candidate. Optimize your use of HirePath® Online Tools to create custom job profiles, generate interview guides, and evaluate candidates. Master advanced interview techniques through role-play with immediate instructor-feedback or video reviews. This advanced interviewing seminar is available in half-day or shorter formats delivered onsite at your location. 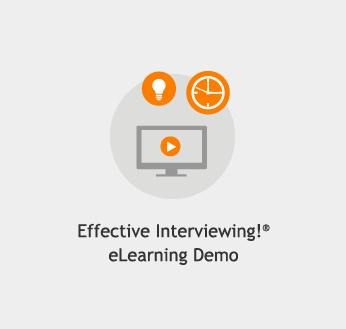 Practice the new interview techniques while receiving immediate feedback and view a live demonstration. 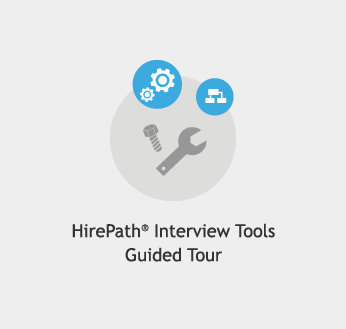 Reinforce your application of these skills after the seminar with one-year access to the HirePath™ Online Interview Tools. "I now have a much better idea how to conduct a deeper interview, and the importance of selling the job to the candidate." - Engineering Manager, MAHLE Industries, Inc.